Today I had a sort of initiation into juicing. We were shooting 10 juicing videos at work and can I just say, I’m a fan? Not necessarily a full convert, yet, but close! My favorite combination has been beets, apple, carrot, and ginger. Sweet and spicy at once, and the color was phenomenal! Let’s see how my body reacts to tasting ten different juices. 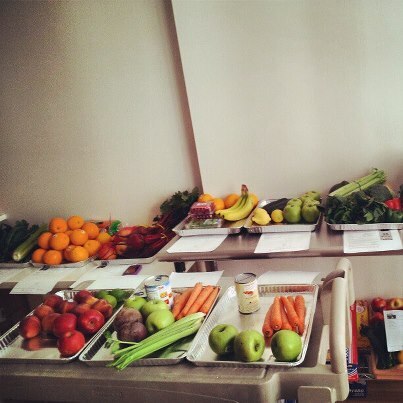 Before we have videos available to share, check out the selection of produce we used.